The IAA Commercial Vehicle Show in Hannover regularly presents future visions of the logistics industry. 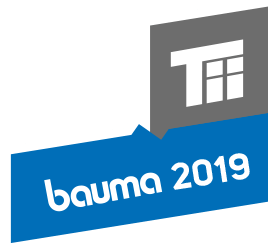 In specific terms this time around, visitors can experience this vision from 22nd to 29th September, for example, with the electrically driven E-Wiesel interchangeable lifting truck from KAMAG Transporttechnik (TII Group). On the IAA Innovation Stage, "New World Mobility LIVE", the company is showcasing its groundbreaking solution for emission-free swap body handling. The logistics industry is growing. Along with this, the interest in the TII Group as well. Vehicles from the Group move and transport loads around the world. Today, these have become an indispensable feature of the logistics sector. 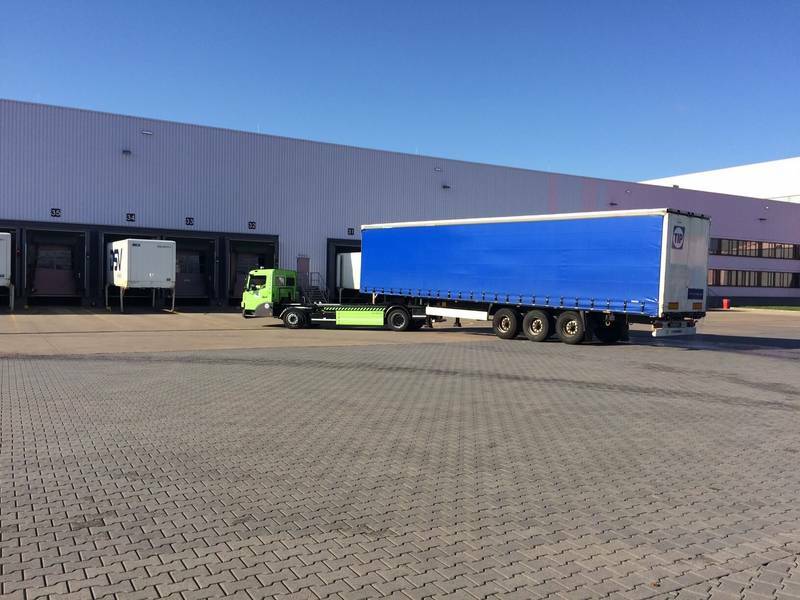 The KAMAG Wiesel and KAMAG TruckWiesel provide cost-effective solutions for handling of swap bodies and trailers during internal transport operations. With the E-Wiesel, even more can be accomplished. Then, emission-free cargo handling moves the logistics sector - in the truest sense of the word. With the KAMAG E- Wiesel, the company is presenting its solution for emission-free swap body handling. The vehicle stands out through its numerous advantages. It requires only a minimum of maintenance. It is easy to service. It is very economical to run. A particularly practical feature is the optionally available remote diagnostics then, especially for the logistics industry, any downtime incurred generates losses. On request, engineers from the TII Group are directly connected within seconds to the vehicle by means of a digital interface. Thus, defects are found, fixed and unnecessary wear preventively avoided. The E-Wiesel sets standards. With its two batteries, it can operate up to nine hours - at extremely short charging times. Operating times are extended if the vehicle is connected to the grid by the driver during breaks - in one hour, 22 kW can be recharged. steered also in a stationary position. A large steering angle ensures simple turning operations even in confined spaces. A virtually wear-free, hydrostatic drive allows a maximum speed of 40 km/h. The first E-Wiesel came through its "baptism of fire" in July 2016 having completed a three-week test run at DSV in Weilerswist. The vehicle was used to move both swap bodies and semi-trailers. The fact that yard operations combined the two is very important for DSV regarding one of its key customers, dm-drogerie markt, as both vehicle body types must be handled. 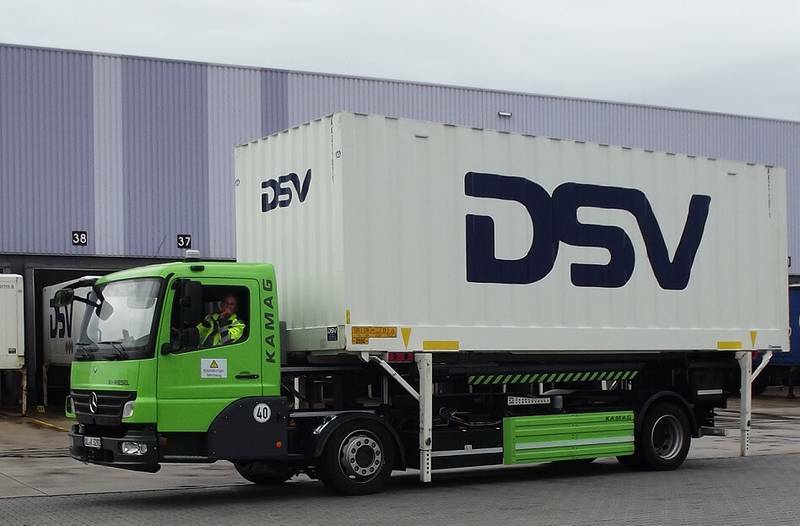 The vehicle was tested on the outgoing goods yard of the dm combi-distribution centre as well as the DSV main distribution complex. Between one and two hundred trucks leave the dm-distribution centre in Weilerswist every day. 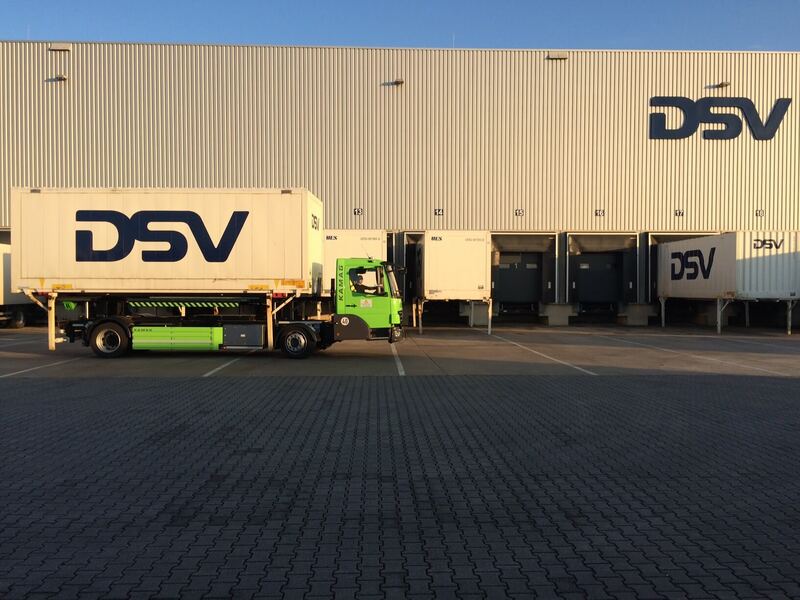 At the DSV distribution centre, up to 50 long-distance tours together with an additional 40 vehicles for local store deliveries are loaded and dispatched. All participants were more than satisfied with the test phase. Driver, Oleg Meyer – who used the E-Wiesel during all working days - is very enthusiastic about the new technology: "Particularly pleasant is just how quiet it is in the cab as the electric motor cannot be heard during operations. Now it is far easier to understand the instructions from the DSV control centre that are radioed through when driving.” Konstantinos Almpanis from partner company, Almpanis Transporte & Ansatzdienste, had high praise for the engine performance in particular: "The power of the electric drive is so strong that the acceleration of the vehicle is far more noticeable than is the case with the diesel model.” There is a choice of two driving modes, the standard ECO mode or power mode. The drive performance when using the power mode rises to a peak value of 156 kW. 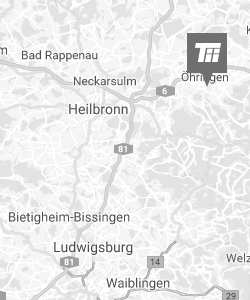 Also on the outside area of the IAA - the Open-Air Area M52 - the TII Group will be presenting a convincing case with "Quality on Wheels". Here, the SCHEUERLE EuroAxle and SCHEUERLE-NICOLAS EuroCompact represent the compact vehicle product group for road transport operations. They can be adapted to suit any transport task. In addition, they stand out due to their low tare weight and great versatility. With these two vehicles, the Group is showcasing two all-rounders from its wide-ranging portfolio. KAMAG E-Wiesel in use in Weilerswist - drivers and operators benefit from emission-free operations, powerful drive and short loading times.